While 500 Home Run Club® LLC Members Babe Ruth, Willie Mays, and Eddie Mathews each blasted seven Opening Day homers, no batter ever hit as many home runs on Opening Day as their fellow club member Frank Robinson. The Hall of Fame outfielder belted eight career home runs on the first day of the season, three for Cincinnati, three for Baltimore, one for California, and one for Cleveland. 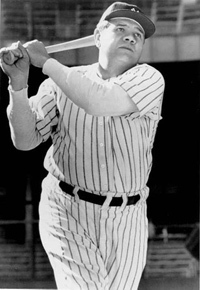 In addition to his record for most Opening Day homers, no other batter has equaled Robinson's feat of hitting Opening Day homers for four different teams. 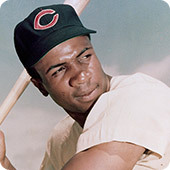 Robinson's final Opening Day homer, for Cleveland on April 8, 1975, came as a player/manager in his first at-bat in that role, as he became the first African-American manager in major league history. On Opening Day April 18, 1923, Babe Ruth walked into the recently built Yankee Stadium in New York and said "I'd give a year of my life if I could hit a homerun on opening day of this great new park." Ruth celebrated opening day. He knew how important it is to get off to a good start, and to keep New York fans on his side. In 18 opening-day games, he batted .422 with five doubles, a triple and seven home runs. Just one month shy of his 40th birthday, Willie Mays hit homer number 629 on the first pitch he saw on Opening Day April 6, 1971, to lead the Giants over the Padres 4-0 Giants. Mays hit seven Opening Day home runs, but this one late in his all of Fame career was perhaps the most memorable. 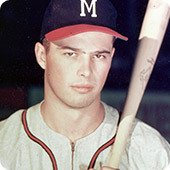 Eddie Mathews was one of only two players have had two two-homer games in season openers - and he achieved this feat on two separate occasions. Mathews hit two home runs for Milwaukee when it opened the season at Cincinnati on April 13, 1954 and against Pittsburgh on April 15, 1958. Hammerin' Hank Aaron hit two Opening Day home runs. His first was on April 17, 1956 against the Chicago Cubs in Milwaukee. His other opening-day home run came on his first swing of the 1974 season was on April 4, 1974 at Cincinnati's Riverfront Stadium.and it was a historic one - No. 714 to tie Babe Ruth for the record for career homers. Mickey Mantle hit four opening day homers. After hitting a game winning homer on Opening Day April 13, 1955, Mickey started the following year with a bang by blasting two tremendous Opening Day homers against the Washington Senators at Griffith Stadium in Washington, DC. on April 17, 1956. President Eisenhower cheered Mickey from his seat behind the Senators dugout. Both homers are searing line drives that go over 500 feet, each clearing the 31-foot wall in centerfield. The first landed atop a house across from the park and the second hit a clump of trees and rolled onto Fifth Street. Only Babe Ruth had ever hit a ball into the trees outside Griffith Stadium. April 10, 1962: Mickey hits his last Opening Day home run on April 10, 1962. It flew some 425 feet into the right-centerfield bleachers at Yankee Stadium and the Yankees nipped Baltimore 7-6. On Opening Day 1974. with the Phillies trailing 4-3 In the bottom of the ninth inning, 500 Home Run Club®member Mike Schmidt hit a walk-off home run to win the game against Tug McGraw of the New York Mets. He only hit two more home runs in April, but flirted with .300 all season, finishing at .282 with the first of three consecutive home run championships. 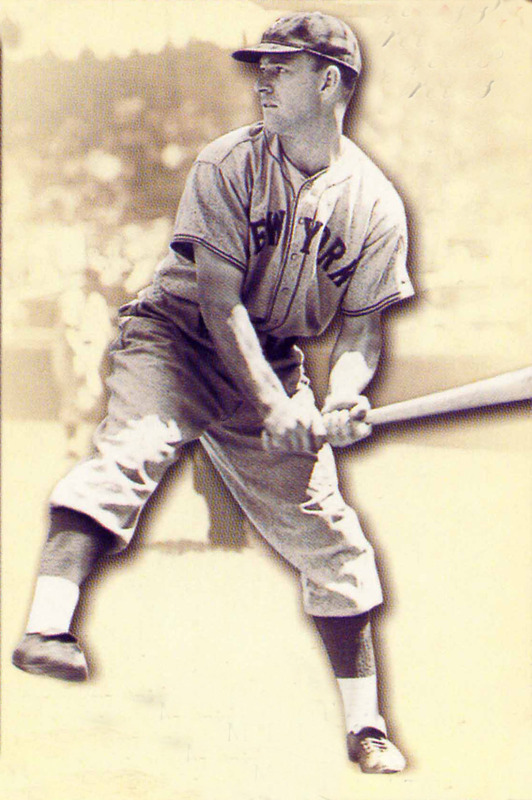 The final home run of 500 HRC Club member Mel Ott's career (511) came in an opening day game on April 6, 1946 against the Phillies at the Polo Grounds. Ott, the Giants' player-manager, hit a first-inning homer in an 8-4 New York win. His 511 homers were a National League record for 20 years until Willie Mays broke it in 1966. Ted Williams played in 14 opening-day games and hit safely in all of them. Williams was 22-for-49 (.449) in season-opening games, with seven doubles, one triple, three home runs, 14 RBIs and nine runs scored. When 500 Home Run Club®member Mark McGwire hit a grand slam against the Dodgers to win the first game of the 1998 season, he became the first Cardinal to hit a grand slam on opening day in the club's 107-year history. McGwire then hit homers for four straight games as he began his attack of the record books. He slugged 27 homers by the end of May and had 50 on August 20; to become the first player in baseball history to hit 50 in 3 straight years. He smashed all records as he hit an amazing 70 for the year. In what was supposed to be a day to honor the return of 500 Home Run Club®members Mickey Mantle and Roger Maris-the M & M boys, the heroics of a rising Yankee star (and eventual 500 Home Run Club®member) Reggie Jackson and a certain candy bar bearing his name - captured the headlines. The good folks at Standard Brands Confectionary came up with the idea of handing out free REGGIE! Candy bars to fans attending the home opener of Reggie Jackson's second season with the Yankees. The candy itself wasn't half bad; a 25-cent concoction of chocolate, peanuts and corn syrup, wrapped in a square, orange little package with a picture of Jackson in mid-swing on the front. In the first inning, with two men on, Jackson pumped a knuckleball that didn't knuckle over the fence in deep right-center field. As soon as it was out of the park, while Reggie was still making his way around the bases, the first bars began to come down. They kept coming for the next five minutes; a rain of orange-and-blue squares, covering the grass in right and left fields-while the big crowd stood and roared, and chanted, ''Reggie! Reggie!'' The grounds crew had it cleaned up in no time, and the Yanks breezed to a 4-2.